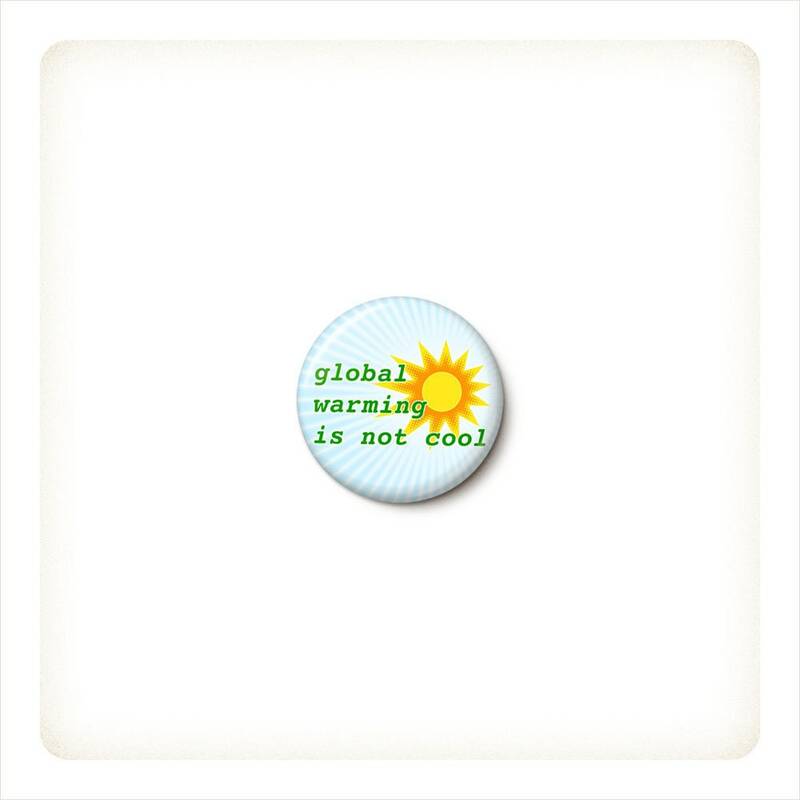 Global Warming Is Not Cool pinback button or magnet, your choice. 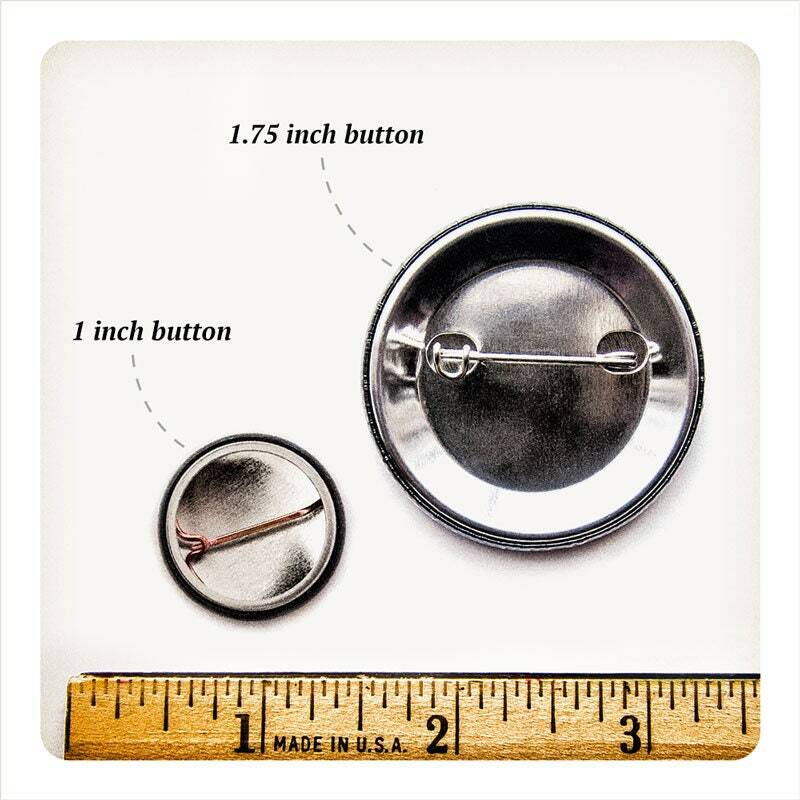 • 1 inch mini buttons are the perfect little size to stick just about anywhere. 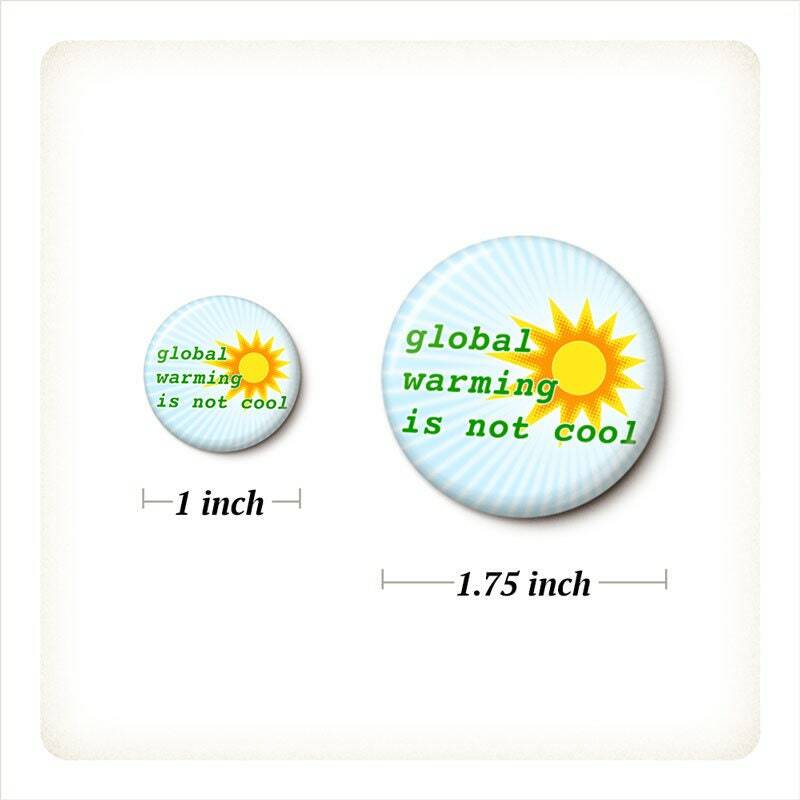 Or size up: not too big, not too small, 1.75 is the ideal button size. • Magnets are super strong: can hold up multiple takeout menus, greeting cards, extra long "to do" lists, short manifestos, and more. • Handmade by OneHorseShy in beautiful Savannah, GA. All button & magnet parts are made in the USA of US steel, magnetic backing is imported. • Easy flat rate shipping: any size order, any combination of items, it all ships for only $3. • Please heed these safety instructions: Choking hazard! 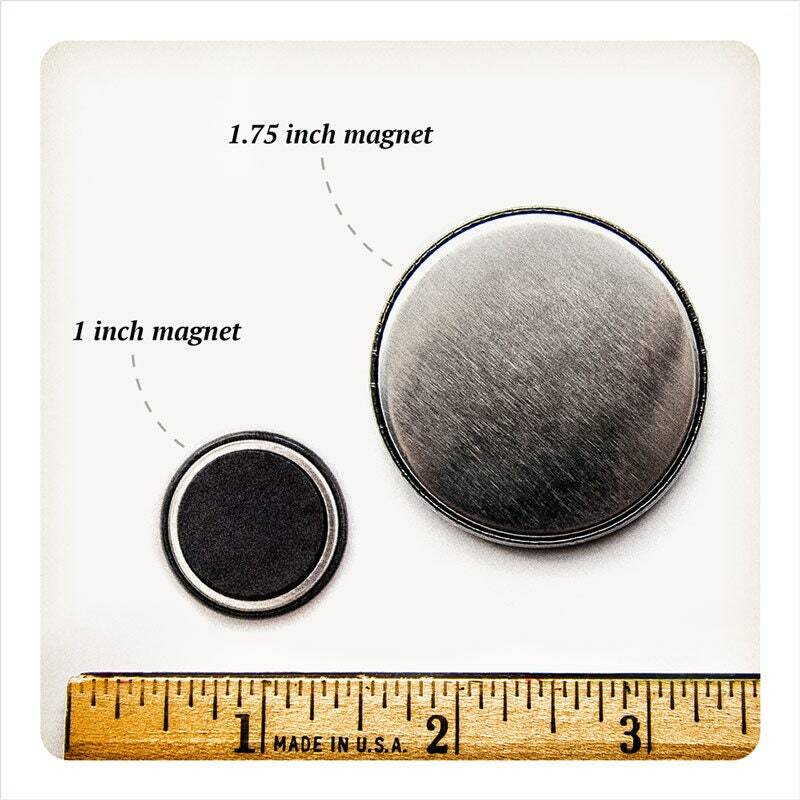 Mini buttons & magnets are only 1 inch round, keep away from children and pets. Also, poking hazard! Pins are very pointy, handle with care. Easy flat rate shipping! Any size order, any combination of items, and your shipping cost is the same: All orders ship for only $3! We only ship within the US at this time, thanks. Can you do bulk/custom orders? Yes! There's already a few bulk listings ready to purchase in the "bulk quantities" section. Or, contact me directly and let me know exactly what you'd like. I'll get back to you asap with a price quote & custom listing.